The Nokia brand is back on the smartphone stage. 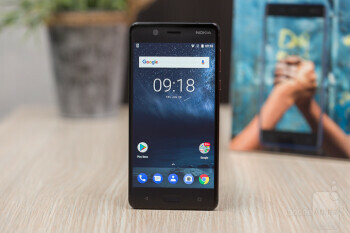 HMD Global, the company which now develops and markets phones under the iconic name, has already introduced three Android-powered, budget-friendly handsets: the entry-level Nokia 3, the mid-range Nokia 6, and the Nokia 5, which we'll examine in the paragraphs that follow. 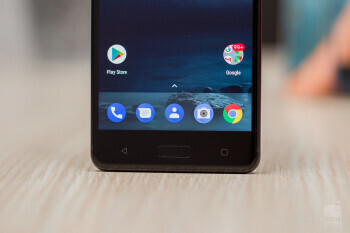 As its name suggests, the Nokia 5 occupies the space between HMD's other two Android phones. 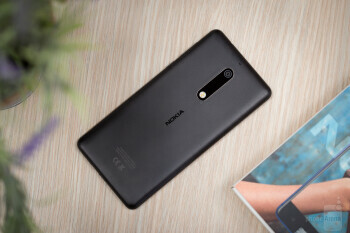 It is not as cheap as the Nokia 3 or as well-equipped as the Nokia 6, but it comes with a metal body, it offers a convenient fingerprint scanner, and it flaunts a 5.2-inch display. 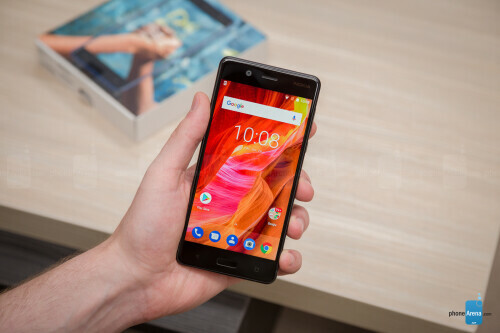 And at a price of just €190 (~$220), perhaps the Nokia 5 is worthy of attention. Let's see if that's the case. The design of the Nokia 5 is definitely one of its strong points – it has a premium feel thanks to its all-metal body. 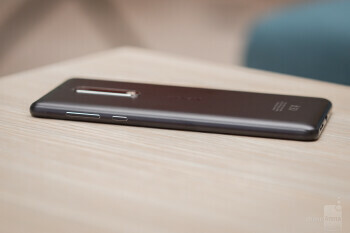 This sensation is further amplified by the rounded sides and corners which make the device very comfortable to hold. Weighing in at 160g (5.64 oz), the handset also feels quite sturdy, somehow reminding us of the Nokia phones from the good old days. The power and volume keys are clicky and responsive. The fingerprint scanner embedded in the home button is truly a welcome addition at this price point and is generally reliable, although not the fastest. At the very bottom you'll find a microUSB port, not the more modern USB Type-C one, which means that you won't get the convenience of using a reversible charging cable. Meanwhile, the 3.5mm audio jack is situated at the top. The handset doesn't have any sort of water protection, so keep that in mind. The Nokia 5 comes with a 5.2-inch 720p IPS LCD display. This translates to a rather low pixel density of 282ppi. Obviously, the screen isn't the sharpest on the market, but some corners had to be cut for the _phone_ to sell at less than €200. Fortunately, this is pretty much where the bad news end. The maximum and minimum brightness levels respectively stand at 598 and 2 nits, ensuring good readability in both sunny and dark environments. The fact that the display is polarized should further improve outdoor legibility. With a color temperature of 7400K, whites appear slightly bluer than intended, but the overall color reproduction isn't too out of whack and is much, much better than what can be seen on the Nokia 3. HMD's Nokia smartphones come with an almost stock version of Android. This is done to ensure a bloat-free experience and, no less importantly, timely updates. The Nokia 5 ships with Android Nougat 7.1.1 out of the box, and our unit currently has the latest Android security patch installed. You won't find many other up-to-date budget Android phones. Many users will undoubtedly appreciate this, and we certainly hope that the practice continues in the future. Performance-wise, there's nothing to write home about. The handset packs the octa-core Snapdragon 430 chipset clocked at 1.4 GHz coupled with 2GB of RAM. 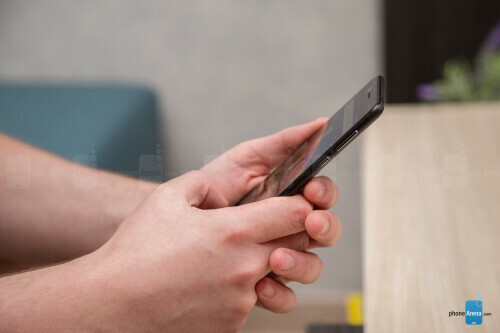 Cruising through the home screen and proprietary apps like Contacts or Messaging is generally smooth, but booting up Facebook and scrolling around or browsing a photo gallery does cause the phone to stutter. This can also be observed in Chrome on certain occasions. Loading times can also be dreadful, especially on more demanding games. At the end of the day, you get what you pay for. Taking advantage of the microSD expansion slot would be a good idea, as the Android system occupies almost half of the 16GB of internal storage. 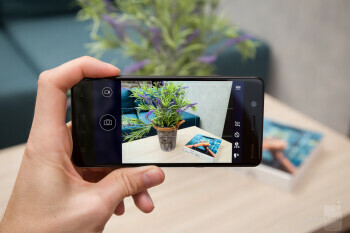 The Nokia 5 sports a single 13MP f/2.0 main shooter with Dual-LED flash and phase-detection autofocus, as well as an 8MP front-facing camera. On paper, the setup does seem adequate, but real-life use shows that it doesn't always deliver the goods. We were able to capture some decent shots with the main cam on certain occasions, but some of our pictures turned out a little overexposed. The dynamic range isn't stellar either, which is why highlights in certain scenes are brighter than they should be. Low-light photos appear noisy and aren't sharp, while the camera app itself is a bit too basic. Things are better with the front camera. It is capable of producing some accurate shots and has autofocus, which is great for a phone in this price segment. The feature has been added to help produce sharper selfies, and the results are more than satisfactory. We were pleasantly surprised by the video recording capabilities of this handset. There's no 4K on board which is understandable, but shooting in 1080p is quite enjoyable, and video quality is good overall. Still, there isn't any stabilization of any sort, so some videos might appear shaky, and even though autofocusing is generally fast, faster-moving objects tend to give it a hard time. The Nokia 5 won't be taking the "Best phone for multimedia" prize, but it's not too horrible of a performer. The 720p display does the job for gaming and YouTube videos, but watching full-length movies might be a bit of a stretch. The single speaker located on the bottom is sufficiently loud but depth is certainly lacking. As we mentioned earlier, there is a 3.5mm audio jack present on the top, but you might want to avoid using the earphones that ship with the handset, as they are rather uncomfortable. The Nokia 5 is a bit of a mixed bag in terms of call quality. Voices coming out of the earpiece speaker can be a bit distorted, which means that you could potentially have trouble understanding your callers when you’re in a noisy environment. However, the microphone is actually pretty decent, so your callers will be able to hear you clearly. All European LTE bands are supported on this mid-ranger but don't count on getting 4G if you live in the USA. 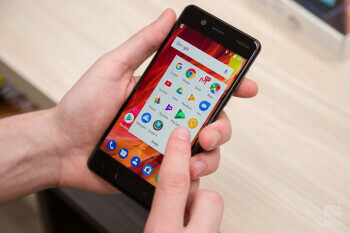 Still, a North American version of the phone could very well emerge soon, as HMD has stated that it plans to release all of its devices globally. As for connectivity options, you get a standard package: Bluetooth 4.1, NFC, GPS, 2.4 and 5GHz Wi-Fi, and so on. There's a 3,000mAh battery powering the Nokia 5. It managed to last 8 hours and 18 minutes when put through our custom test, and it will probably get you a day and a half between charges in real life. 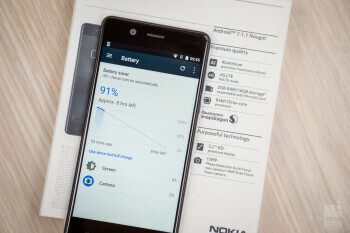 This is a pretty decent score, but we must mention that there are a good number of handsets at this price range offering a superior battery life. Also, there's room for improvement with charging speeds, as it takes 141 minutes for the Nokia 5 to go from 0 to 100%. 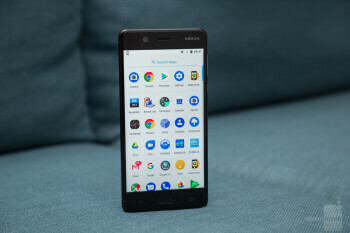 All things considered, the Nokia 5 is a pretty smartphone that comes with a clean and up-to-date software, but ultimately disappoints in terms of performance. Some people will undoubtedly find it – as well as its €190 ($222) price tag – appealing, but it certainly isn't the best budget phone on the market. Your alternatives: the Moto G5 can be currently purchased for €175 and provides a similar package while also boasting a Full HD display, although its battery life is a bit inferior. Another handset that comes to mind is the Samsung Galaxy A3 (2017). 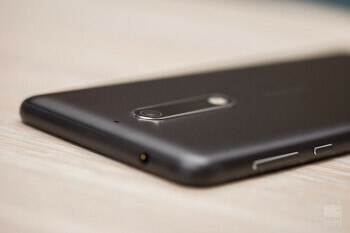 It's a bit more expensive than the Nokia 5, but it has water and dust protection and superior cameras, while also lasting longer between charges.